BuddyPress lets your users interract through groups, forums, friends, status updates, private messaging and a lot more. Salutation has a clean design focused on high-level content organization. It’s easy to navigate and promotes a feeling of user satisfaction. The well organized menus and page structures encourage a positive user experience allowing your visitors to find what they’re looking for quickly. The theme includes administration features giving you complete control of your website’s layout and design. An unbranded administrative interface with options to add your logo to the admin as well as and other company details, set permissions to restrict client access to theme options and more. To disable access to advanced developer features you can optionally hide the developer panels before turning the site over to your client. 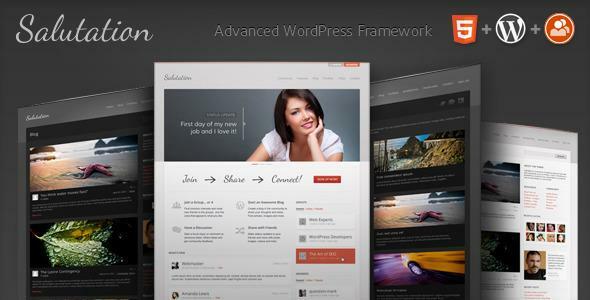 Share the post "Salutation: WordPress + BuddyPress Theme"